Worldwide mobile device sales to end-users reached 325.6 million units in the second quarter of 2010 - an increase of 13.8% compared to 2009. According to research firm Gartner, smartphone sales grew more than 50%, accounting for 19% of worldwide device sales compared to the second quarter of 2009. 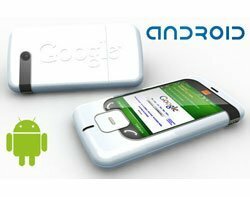 The Android smartphone operating system (OS), overtook Apple's iOS to become the third most popular smartphone OS globally behind Research in Motion (18%) and Symbian (41%). In the US, Android became the top smartphone OS. "Launches of updated operating systems will help maintain strong growth in smartphones in the second half of 2010 and spur innovation," said Carolina Milanesi, research vice-president at Gartner. "But we believe market share in the OS space will consolidate around a few key OS providers that have the most support from [mobile telcos] and developers, and strong brand awareness with consumers and enterprise customers." Shortage of components, such as active matrix organic LED (AMOLED) displays caused stunted sales volumes of more popular smartphones, said Gartner. Reflecting Android's popularity, Gartner's report also showed HTC's debut in the worldwide top 10 for mobile device manufacturers. Nokia, Samsung, Research in Motion (RIM) and Apple maintained top positions for mobile device sales.